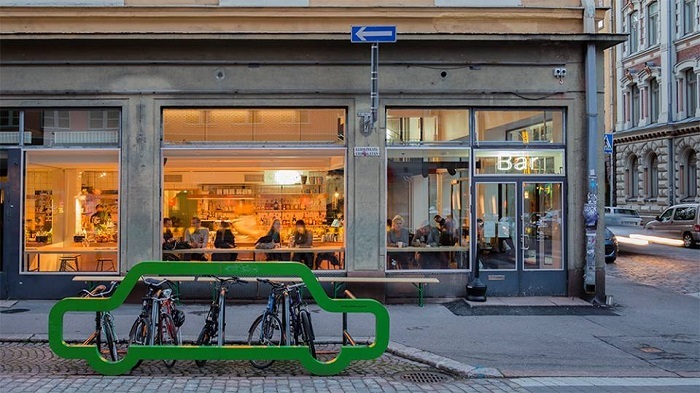 Here’s an interesting addition to Helsinki’s bar scene! 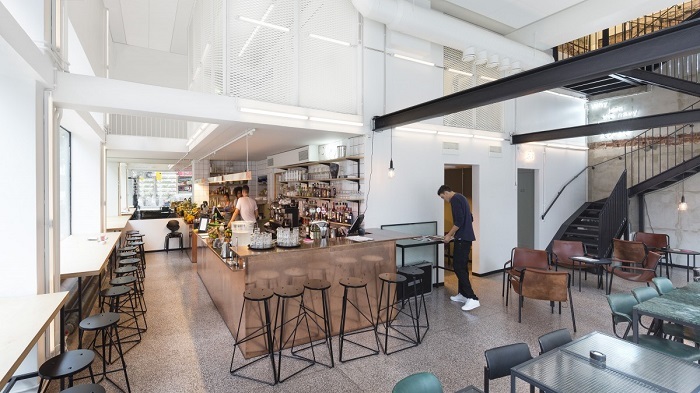 Marketing and consultancy company SEK decided to celebrate its 80th birthday by getting closer to locals with an interesting concept other agencies in Finland haven’t done before: They opened up a bar on their own premises; a bar open to all. 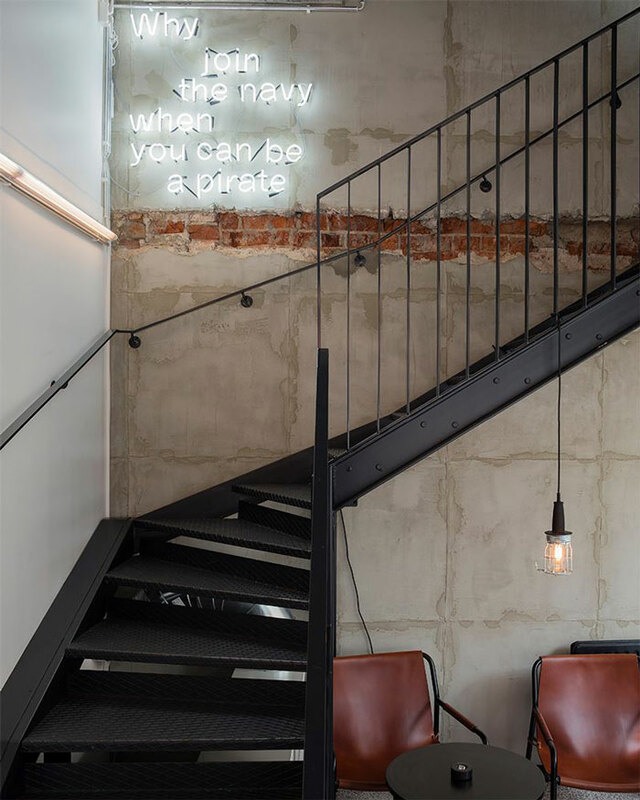 Named ‘Why join the navy when you can be a pirate‘, the bar is located in the heart of Helsinki in a late 19th century ground floor retail space. 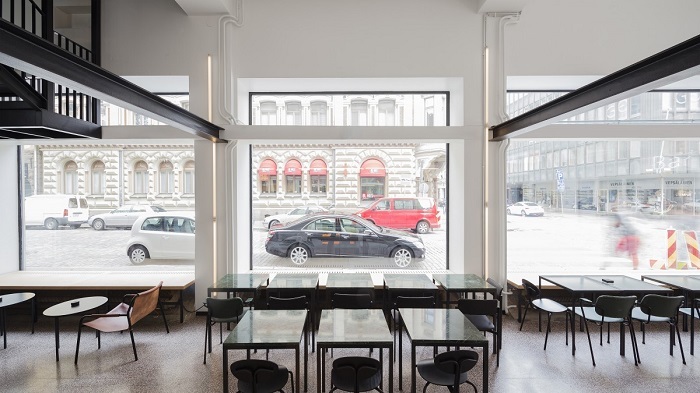 It is run by restaurateur Kim Heiniö, who is also behind Block by Dylan. 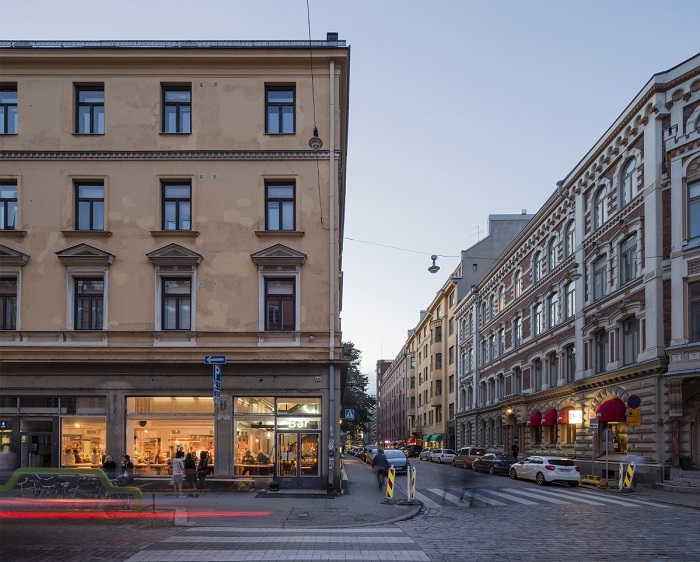 Architecture firm Futudesign and interior designer Eliisa Korpijärvi collaborated on the project. 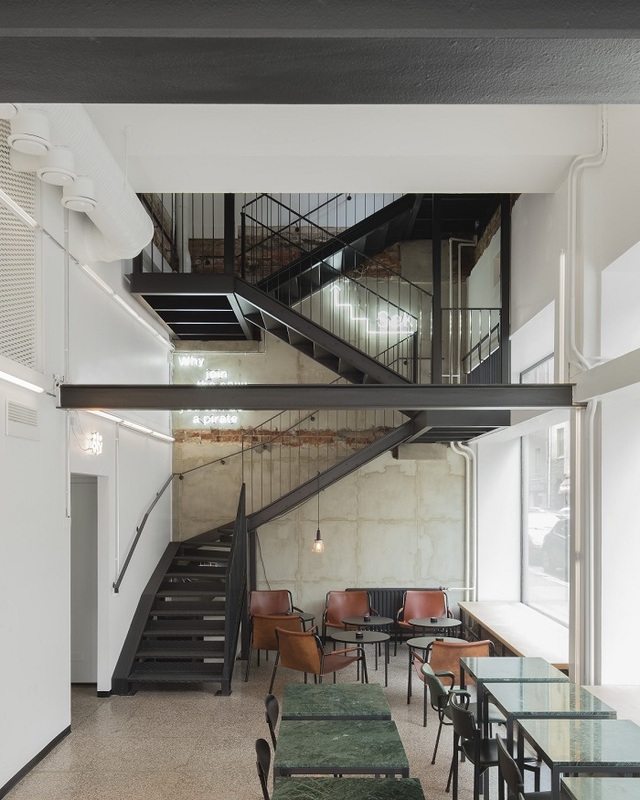 They had the task to create a space that would become a gathering place for having a drink as well as hosting meetings, while providing an access to SEK’s office spaces on the upper floor – A place that would be both a destination and a connector. 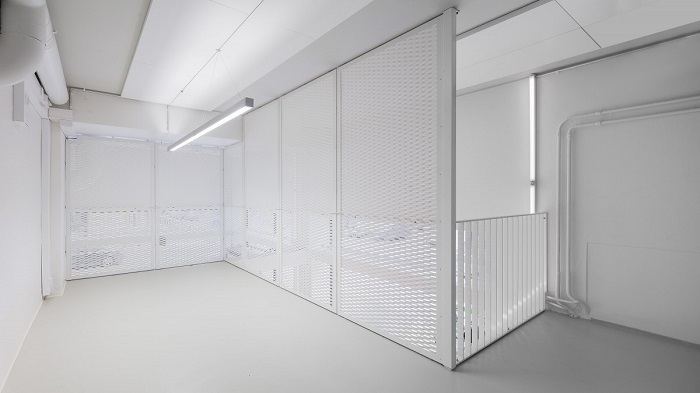 The interior is rather minimal, but definitely cool and trendy. 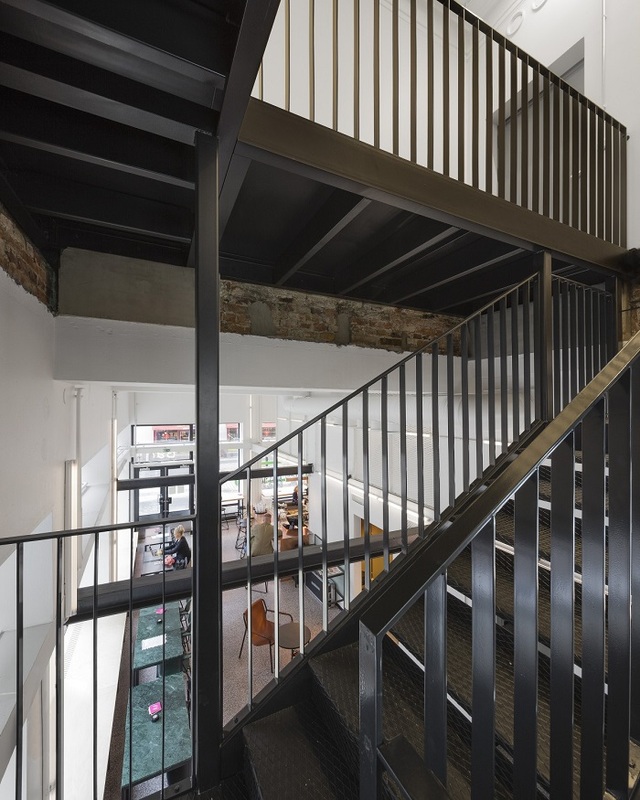 It has an industrial vibe, with its exposed steel beams, bricks and pipes. Materials such as concrete, brown leather and green marble were used, creating a stylish and contemporary look. Large windows offer expansive views of the bustling streets, making it a great place to watch passers-by. A definite must-see for anyone in Helsinki!